I can also share some photos from our free days in the spectacular Pyrenees. Thanks to Nigel for organising a fantastic trip to Harrogate’s twin town. We were made to feel very welcome by Luchon’s Petanque Club and we very much enjoyed the experience of playing at the home of petanque. We had 2 days of petanque competion with amazing 3 hour lunches. I’m not sure whether the Ricard, wine and whisky improved our games, but some people received trophies at the end! 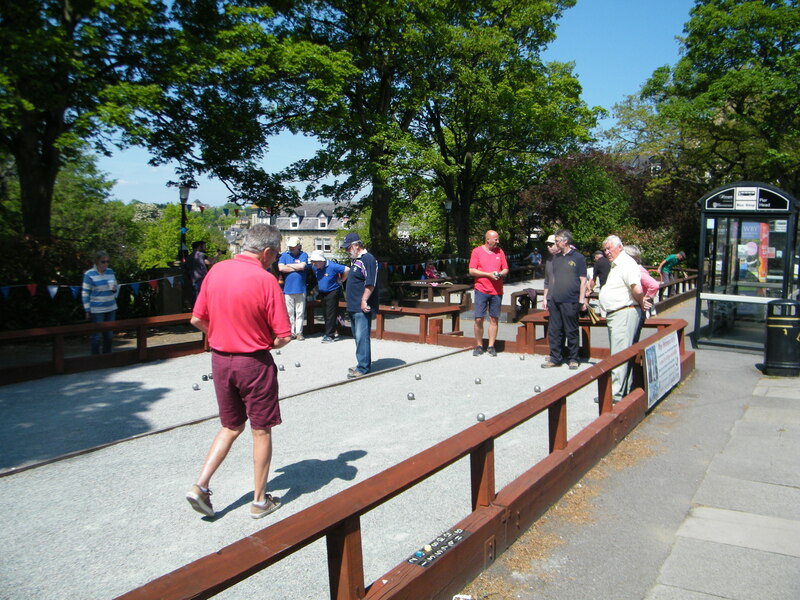 Here are a few photos from the 2 petanque days. Ahead of our trip to Luchon, we experienced some French weather on Thursday evening’s session, with the temperature around 25 degrees – formidable!